In fact some people do really consider their pets to be the members of their families so these people would expect you to include their pets to the wedding guest list. Moreover, you could have purchased the pet yourself in case you have been living with your fiancé before the wedding day. 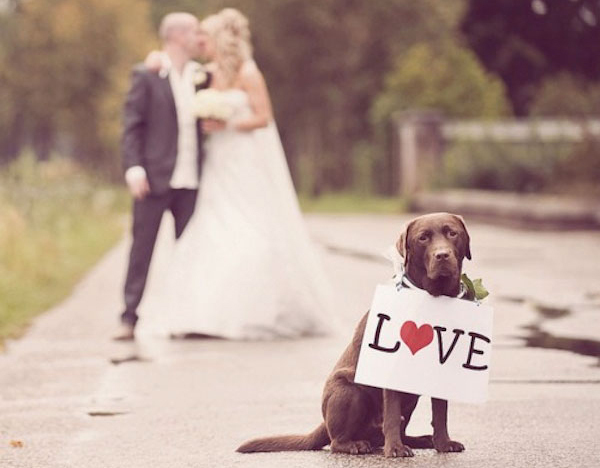 Then you probably won’t be happy with the idea of leaving your pet aside the wedding celebration. But beforehand familiarize with the pros and cons in order to fully understand what to expect. This is an ideal chance to take some amazing photos with your pet. 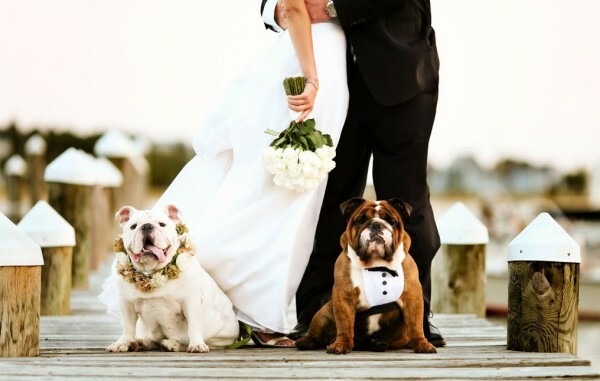 I think that the major part of couples prefer to take their pet at the ceremony in order to take some cute joint photos. 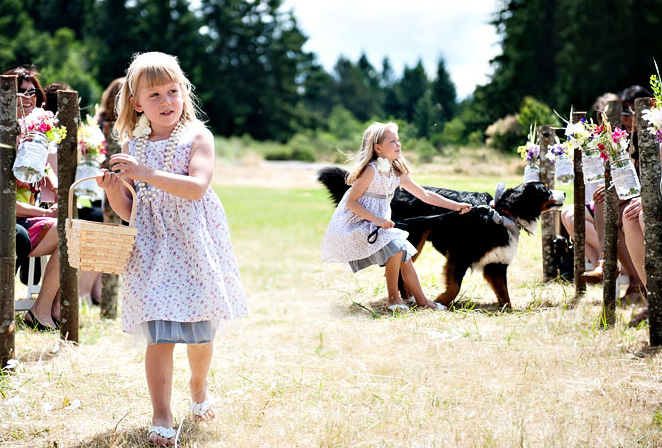 Kids that will definitely be there in great numbers would love the idea of your dog being the part of the wedding celebration. So, you won’t have to worry about entertaining the youngest guests since your dog will take care of that, especially if he is well-behaved. Keep in mind that in the unfamiliar setting your dog is unlikely to behave quietly and you may end up being dirty. So, if you are not afraid of having stains on the wedding gown and on the tuxedo by the end of the day, then go for it. 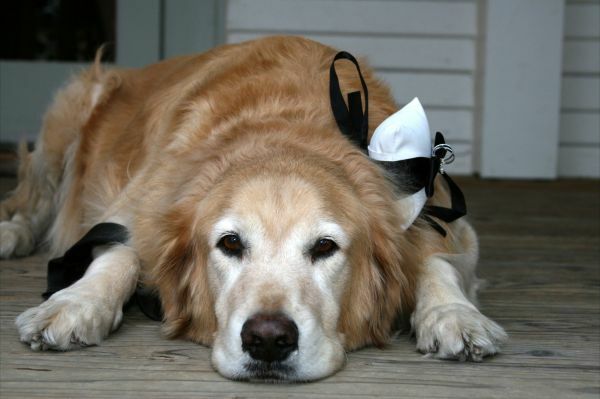 Just don’t forget to take your dog to the dog groomer beforehand so that it would look its best during the big day. 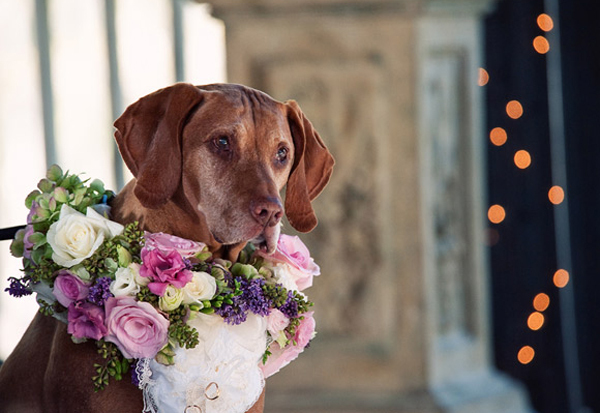 If you seriously thinking of including your dog to the wedding guest list, you should make sure that your dog is not going to ruin your celebration and is on the calmer side. Figure whether your dog handles well the transportation and the strangers around. In case your pet is not happy about these things, then you would better refuse this idea. 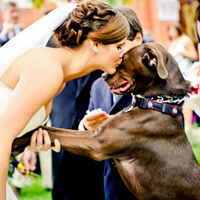 Though ex facte a over-friendly pet might seem to be an ideal fit, but not when it concerns own wedding. It is fraught with causing the entire wedding celebration especially in case you want to introduce him to the ceremony in the role of the ring bearer.